Are cloth diapers better for the environment? If you're looking for eco friendly diapers, you'll soon find that the environmental debate is perhaps the most controversial of all of the discussions for cloth diapers. Most of the controversy is fueled by conflicting research funded by the manufacturers of disposable and cloth diapers, each with conclusions finding their own product to be a better for the environment. While environmental organizations side against disposable diapers, neither the American Academy of Pediatrics nor the Environmental Protection Agency have taken a position. 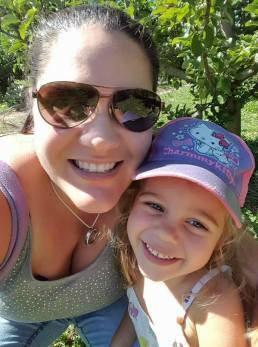 On Environment Canada's website, they claim that "effluents from the disposable diaper manufacturing process (plastic, pulp, and bleached paper) are more damaging than the cotton and hemp growing and manufacturing process used for cloth diapers." The contradictory opinions and the varying designs of scientific studies make it very hard to weigh the ecological impact of our decisions. 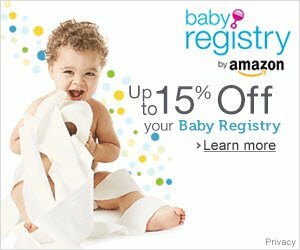 Making it even harder, almost every cloth diaper retailer's website quotes countless facts in support of cloth diapers, but many times these are either out of date or unreferenced. To help you get the facts straight on eco friendly diapers, I've looked for recent data from credible sources such as government agencies and educational institutions (you'll find sources footnoted). Do you need to worry about the chemicals found in disposables? During the manufacturer of disposable diapers, wood pulp is usually bleached with chlorine, producing dioxins and furans as unwanted by-products. According to the World Health organization1 dioxins are a group of compounds that are highly toxic and persistent pollutants. While all humans have background exposure to dioxins at a level not expected to affect human heath, the WHO is especially concerned about the highly toxic potential of this class of compounds, which can cause lead to cancer and reproductive and developmental problems, including damage to the immune system and interference with hormones. They suggest that we should take measures to reduce current background exposure. While actual contact with disposable diapers does not contribute to dioxin accumulation in your baby, your baby's bottom does come in contact with chemicals used to increase the absorbency of the diapers. According to the US Environmental Protection Agency, 16 billion disposable diapers are thrown out in the US each year9, with another 1.7 billion in Canada (4 million per day!) Disposable diapers are one of the largest contributors to landfills; in Canada, they represent approximately 3% of total residential waste.10 The 2008 Municipal Waste Report from the EPA indicated that in the US, diapers contribute 2.3% of the weight of all products discarded. Depending on which scientific literature you reference, it is suggested that disposable diapers will sit in sealed landfills for 250 to 500 years. While some environmental organizations claim that landfilled disposable diapers have the potential to leach viruses, bacteria, and other pathogens into soil or groundwater, this claim has not been substantiated with any scientific research. 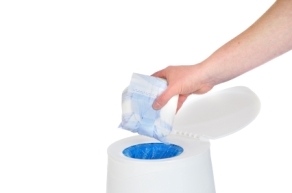 Disposable diapers contain plastics that are not compostable. Even though some diaper manufacturers create eco friendly diapers that are disposable but biodegradable (absorbent and lining materials are cellulose-based), in many cases these diapers still pose a threat to the environment. Many versions are still made with bleach and other chemicals, and manufacturing burns fossil fuels. Are Compostable Diapers a more Eco Friendly Diaper? In today's anaerobic landfill conditions, even compostable diapers can take years to break down without sunlight and oxygen to break down the organic components. While some cities accept cloth diapers in their green bins, many of the components of the diapers are sorted out and sent to landfill, and even cities with compost programs don't always compost diapers. For non-compostable disposable diapers that are rolled tightly or sealed in Diaper Genie "sausages", decomposition can take even longer. Cloth, on the other hand, can be considered a more eco friendly diaper since it can be used on more than one baby before being recycled into rags that take less than 1 year to decompose. Doesn't it take a lot of Water to Wash Cloth Diapers? Washing your own diapers does not eliminate environmental impact. Cloth diapers contribute waste water to water treatment facilities during rinsing and washing, and greenhouse gases are emitted when washers and dryers are used. While ensuring cloth diapers are appropriately sanitized can at times be challenging with high-efficiency washers, these machines can significantly reduce detergent, water, and electricity usage, and save more energy with shorter drying times. Top-load washers use roughly 40 gallons of water per full load, while front-load washers use 20-25 gallons per load.13 (Note, I have been unable to find any data that quantifies the amount of water used in the manufacture of disposable diapers, but we do have to think that some has been). Eco Friendly Diapers: How Can I Save Energy? To further minimize the environmental impact of cloth diaper laundry, parents can consider line drying whenever possible and biodegradable detergents (plus other "green" products around the home). Chlorine bleach, another environmental concern, can be replaced with oxygen bleach, hydrogen peroxide, or other chlorine-free methods; in fact, many cloth diaper warranties are void if the diapers have been washed with chlorine bleach. Diaper services are also an eco friendly diaper alternative to home laundering; while most parents find this service more expensive than the costs of buying and laundering their own cloth diapers , diaper services use less water and energy per diaper, and most use green detergents such as oxygen bleach rather than chlorine bleach. 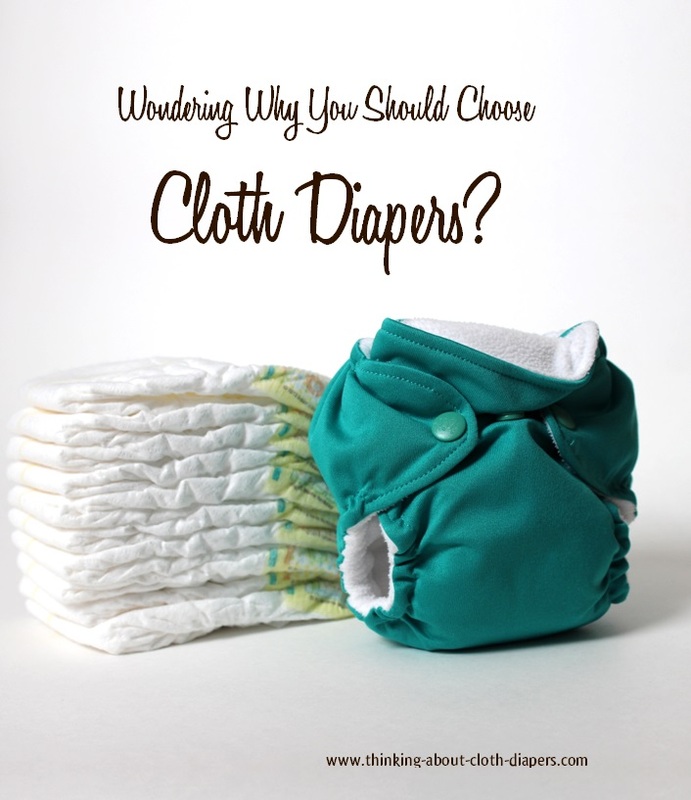 While there will always be controversy and it will be hard to weigh the final impact of our decisions, there are certainly lots of environmental reasons to feel good about choosing cloth diapers. For me, a proud Canadian, a simple caption in a parenting magazine that stated that "4 million diapers are sent to landfill each day in Canada" was what started me out in my cloth diaper journey. I couldn't stomach the thought of contributing 2-3 years of diapers to landfill, especially when cloth diapers could save me money too! I admit, the research I did into dioxin for this article was a real eye-opener... I was already convinced, but this would have only added to my conviction that cloth is a more eco friendly diaper option. Click here to check out our top environmentally friendly tips for a green diaper experience.